A recap of top stories for the week of June 18 – 25, 2016. Stark-white and minimal in build, a jacket line from Columbia Sportswear will rock the outdoors industry when it comes to market for 2017. What does the perfect BASE jumping photo look like? Adventure photographer Krystle Wright gives a peek at the struggle to find the immaculate image. From a GoPro gimbal to a better wetsuit… a look at emerging products from the cutting-edge (and sometimes quirky) world of outdoor gear design. An immense and iconic ridge on Mont Blanc, the ascent of the Arete des Cosmiques route in Chamonix, France, is requisite for mountaineers ticking off classic climbs in the Alps. Rainier in a weekend? From Boston? For the founders of a new online community, the challenge of audacious adventure is part of the fun. Climbing 14,000-foot peaks, known as 14ers, is a popular activity for burgeoning climbers and serious mountaineers alike. 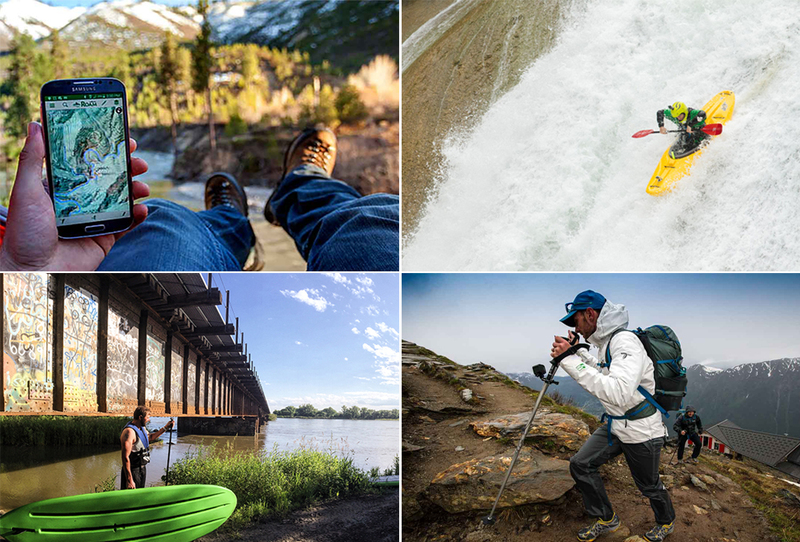 Be ready when you head up with this must-have gear list. When life gives you some Nebraska, you make do with SUP boards and a flowing Platte River. Next time you’re driving full blast on I-80, consider a pitstop in a very overlooked adventure landscape. 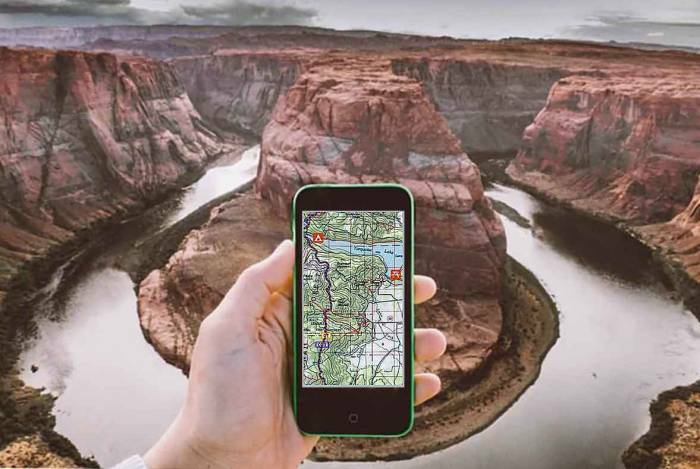 No cell service required, a new smartphone app dubbed ‘ROAM’ turns your phone into a high-powered, reliable GPS device. From energy gel to body lube… these 10 essential items will get you through most any trail-running session. High-falls insanity? Kayakers journey the planet to master the art of paddling towering vertical cascades. When a trail runner wasn’t happy with his shoe choices, he invested a half-million dollars to make his own, and Carson Footwear was born in Oregon. Don’t be “that guy.” Here’s how to practice good trail etiquette when hiking in the wilderness. In 2015, a lone Swedish woman set out to run across Iran. This film tells her story. This isn’t about me. It’s about helping you. 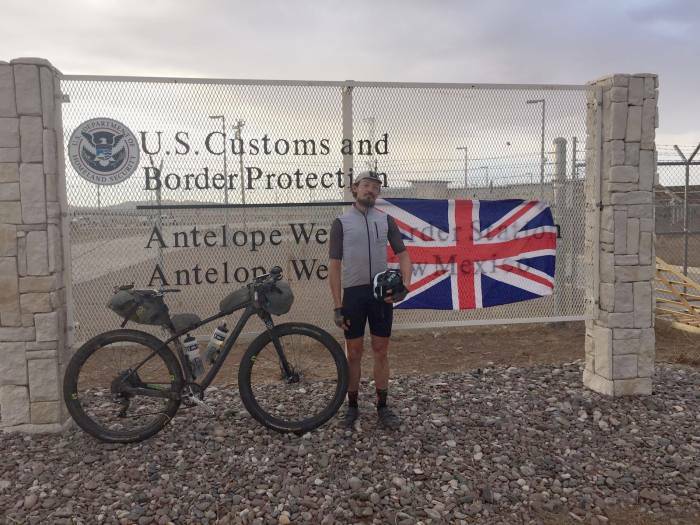 Mike Hall, of Yorkshire, England, finished the Tour Divide race in the early hours of June 24th and beat the previous course record by over half-a-day. The bear was euthanized after it attacked a runner taking part in a marathon in the Valles Caldera National Preserve, sparking social media outrage.